Motion Equity Partners (“MEP”), an independent mid-market European private equity firm, announced today that it has agreed to sell ixetic Verwaltungs GmbH (“ixetic”), a leading producer of high-performance pumps for the automotive industry, to the global automotive supplier Magna International Inc. (“Magna”). ixetic, with its headquarters in Bad Homburg (Germany), mainly focuses on the premium segment of the automotive market, with customers including Daimler, BMW, Audi/Volkswagen, Land Rover and Toyota as well as LUK/Schaeffler group. 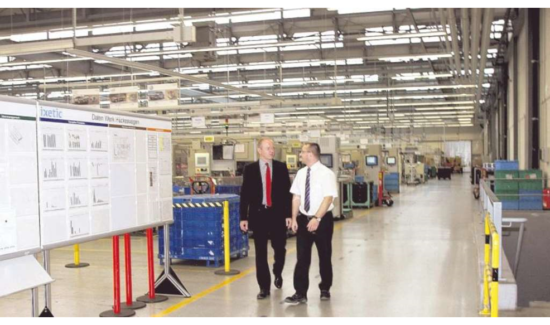 ixetic operates two manufacturing facilities in Germany, and one in each of Bulgaria and China. Full year 2011 total sales of ixetic amounted to €300 million. Since 2006 and its acquisition by Motion Equity Partners, ixetic has launched new products, diversified its client base and broadened its international scope, setting up a factory in Bulgaria and entering the Chinese market. Overall, ixetic has been successful in building up a strong market position worldwide. Cédric Rays, Partner at MEP, said: “We are proud to have worked with ixetic and contributed to such a successful development story. The group stands today as the leading company in its industry, with a commitment to quality and expertise that leaves it well-positioned for its next development phase. We are confident ixetic will flourish under Magna’s ownership” The transaction is expected to close in the fourth quarter of 2012, subject to obtaining European anti-trust approval. Motion Equity Partners is being advised by Rothschild in connection with this transaction. Magna is a diversified global automotive supplier. The company designs, develops and manufactures technologically advanced automotive systems, assemblies, modules and components, and engineers and assembles complete vehicles, primarily for sale to original equipment manufacturers (“OEMs”) of cars and light trucks. Magna’s capabilities include the design, engineering, testing and manufacture of automotive interior systems, seating systems, closure systems, body and chassis systems, vision systems, electronic systems, exterior systems, powertrain systems, roof systems, hybrid and electric vehicles/systems, as well as complete vehicle engineering and assembly. Magna has approximately 115,000 employees in 296 manufacturing operations and 88 product development, engineering and sales centres in 26 countries.